Whenever you decide to conduct a home improvement project, you should consider doing something that both beautifies your home and improves its performance. In this day and age of high energy prices, any home improvement project that can reduce the amount of energy we consume is a great idea. One way to improve the aesthetic of your Vacaville property while reducing energy costs is to install energy efficient windows on you home. The first thing you should do if you decide to install energy efficient replacement windows is to hire a professional to help you with the project. In Vacaville, the most knowledgeable and helpful energy efficient window contractors are at FitzPerfect Windows – Doors and More. Their team can help you with every stage of the project, from choosing the right Vacaville windows for your home and installing them in the best fashion. After the project, both the inside and outside of your home will look better, and you will be able to enjoy immediate savings on your monthly utility bills. If you are installing windows as part of a home construction project in Vacaville, you should carefully consider the size and orientation of your prospective windows. Depending on the climate, different window orientations result in different benefits. In an area where you use your heater often, you want to have your energy efficient windows facing southward to collect maximum sunlight. In contrast, in a cooling climate, windows should face northward and southward facing windows should be in shaded areas. 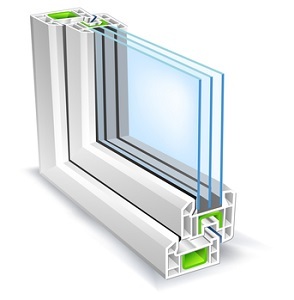 The energy efficiency window experts at FitzPerfect Windows – Doors and More can help you design your window placement in the most optimal fashion. After their services, you can feel confident that you made the best choice for you Vacaville home. The first thing that you should consider when installing windows is the energy performance ratings in relation to the climate you are in. Different window systems are designed to be efficient in different climate settings. The Vacaville window and door professionals at FitzPerfect Windows – Doors and More know exactly what energy efficient windows work best in Vacaville. When you hire their professionals, you do need to worry about purchasing windows that are labelled as energy efficient but that do not function well in Vacaville. If you need to hire a window installation contractor to assist you with an energy efficient window project in Vacaville, call 707-452-8844, or fill out our online request form.